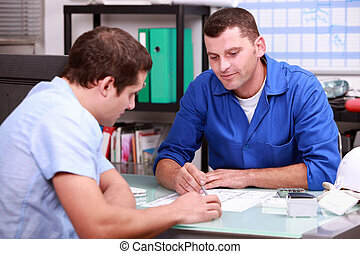 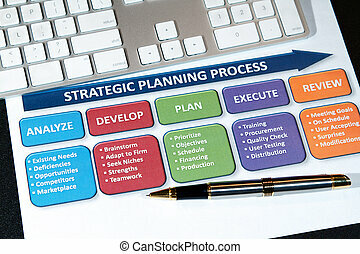 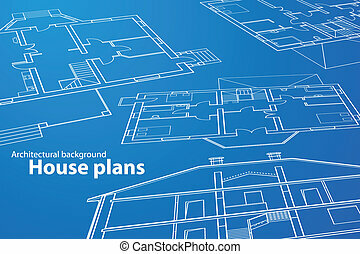 Roled -up plans on the table. 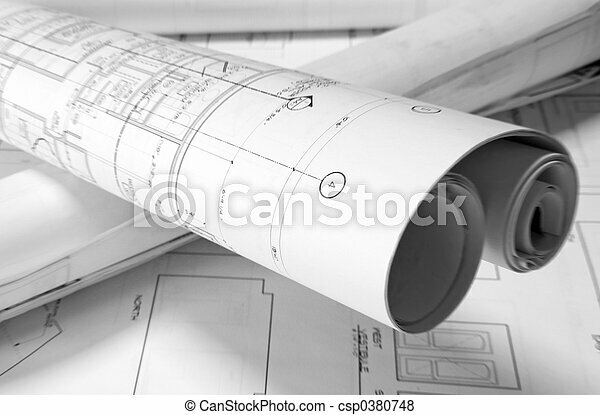 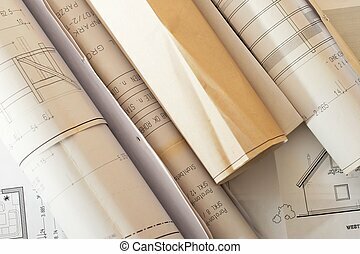 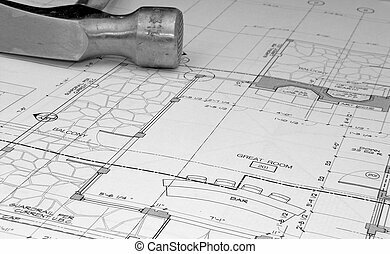 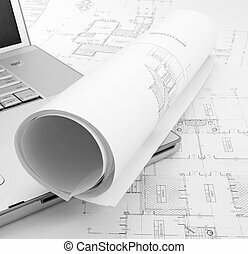 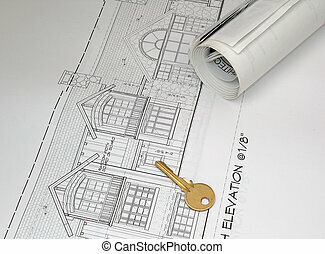 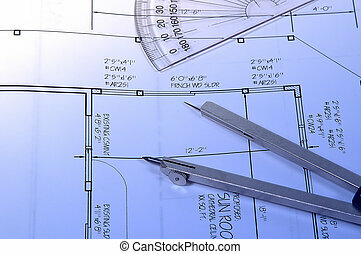 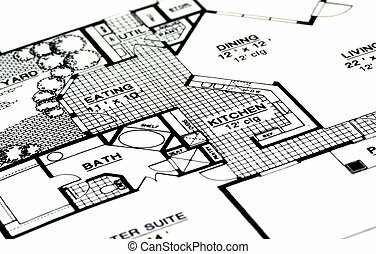 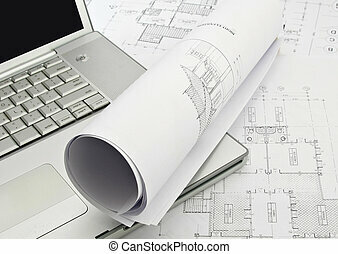 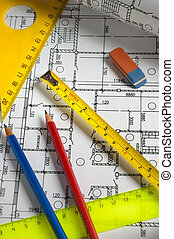 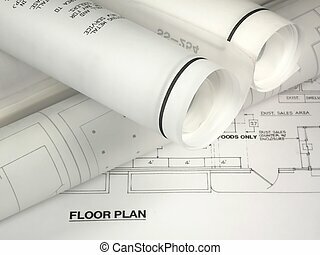 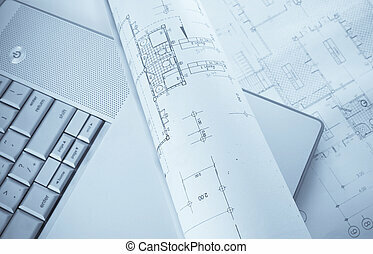 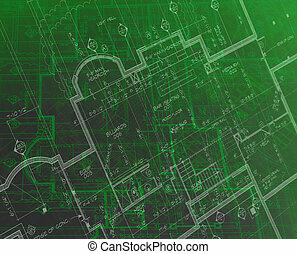 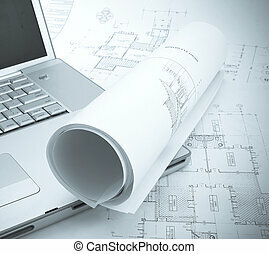 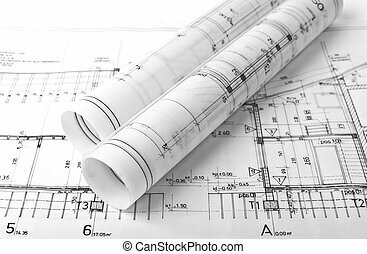 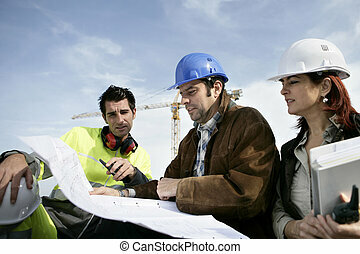 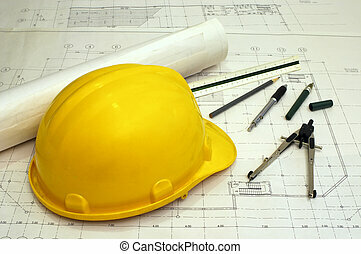 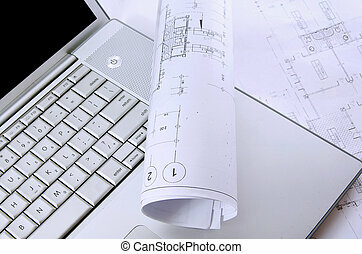 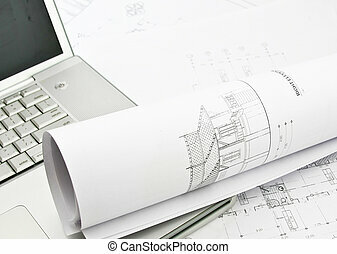 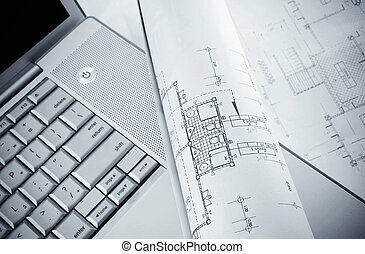 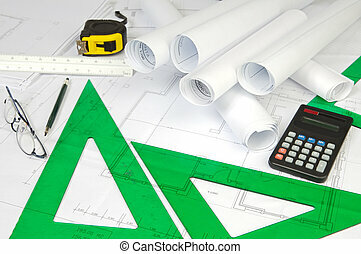 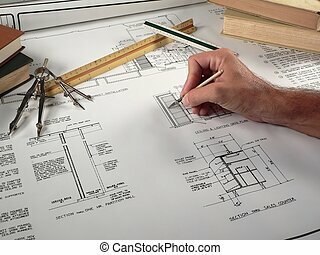 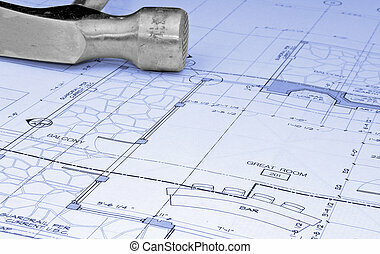 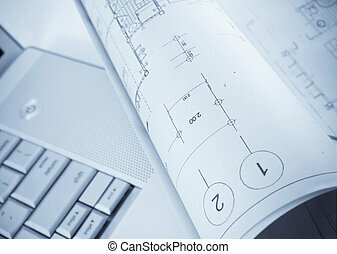 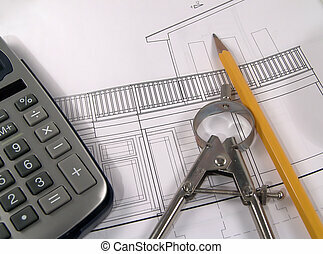 Photo of Plans and Drafting Related Items. 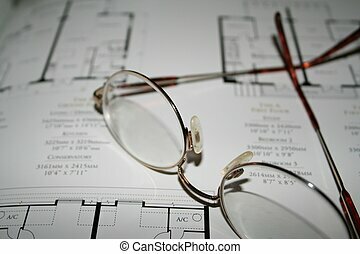 Close up of glasses on house plans.